Tehran has summoned the French and Belgian ambassadors as well as the German chargé d’affaires and expressed its strong protest over the arrest of an Iranian diplomat in Germany. The news was announced by Iranian Foreign Ministry Spokesman Bahram Qassemi. 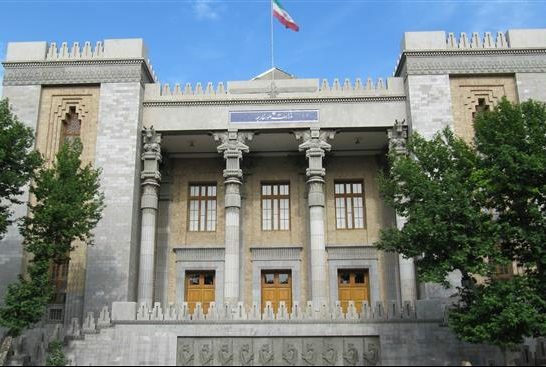 “Following the arrest of an Iranian diplomat in Germany at the request of the French police, the ambassadors of France and Belgium along with the German chargé d’affaires (in the absence of the German ambassador) were summoned to the Foreign Ministry,” said Qassemi on Wednesday. In a meeting with the French ambassador and the German chargé d’affaires, Iranian Deputy Foreign Minister for Political Affairs Abbas Araqchi expressed Tehran’s strong protest over the detention of the Iranian diplomat. He underlined that diplomats have immunity under the Vienna Convention, calling for the immediate and unconditional release of the Iranian diplomat. Araqchi dismissed the move as a scenario aimed at undermining Iran-Europe relations, saying the move was timed to coincide with Iranian President Hassan Rouhani’s trip to Europe and comes on threshold of a foreign ministerial meeting between Iran and the P4+1 group of countries. He said the move aims to eclipse that meeting in line with the objectives of the US and the Israeli regime. Araqchi then touched upon Iran’s fundamental policy of condemning any act of terror. “The existing evidence clearly shows that the MKO terrorist group had a role in orchestrating this farcical show as explosives were seized from two of the arrested members of this group,” he said. “The move is reminiscent of the self-immolation of members of the group in Europe several years ago, and once again proves the terrorist nature of this trivial grouping whose members are even ready to set themselves alight and hurt themselves in order to create the impression that they are significant,” he said. On the same note, the Belgian ambassador to Tehran was also summoned to the Foreign Ministry and received notice of Iran’s objection to calls that the diplomat in question be transferred from Germany to Belgium. In the meeting, the French and Belgian ambassadors as well as the German chargé d’affaires stressed that they would immediately notify their respective governments of Iran’s objection.